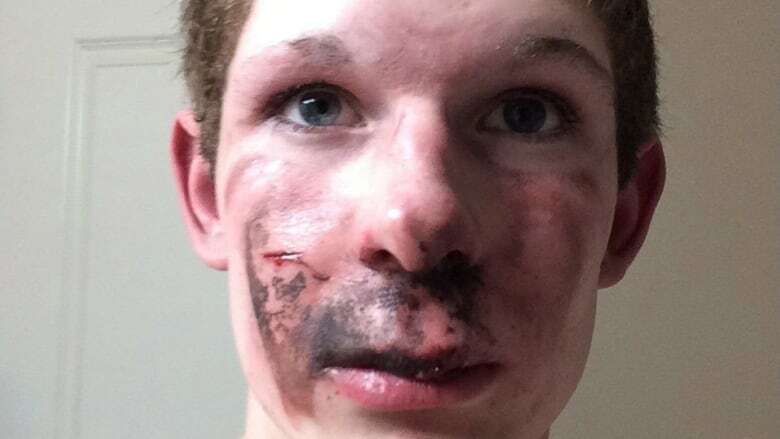 The father of a southern Alberta teen says his son is recovering from burns, broken teeth and other injuries after an electronic cigarette blew up in his face. The father of a southern Alberta teen is calling for a ban on the sale of electronic cigarettes to minors as his son recovers from burns, broken teeth and other injuries after an e-cigarette blew up in his face. Perry Greer says his son Ty, 16, was using the device in a car last week in Lethbridge when the e-cigarette exploded. "It lit my kid's face on fire, busted two teeth out," Greer said Wednesday. "It burned the back of his throat, burned his tongue very badly. If he wasn't wearing glasses, he possibly could have lost his eyes." Greer said the family raced Ty to hospital. He remembers hugging his son as he writhed in agony waiting for a dose of morphine to kick in. "He wanted to die. That is how much pain he was in." Greer doesn't know why the device exploded. "He pushed the button and blew in, and then you wait a couple of seconds, and then you puff on it. It was about two inches from his mouth and it just blew apart." Greer said his son has been treated for first- and second-degree burns and has already had two root canals. Pictures of the youth show blackened skin, lacerations and burns on his face. Greer said the model of electronic cigarette his son purchased on his own is as large as a cigar and is popular because of the amount of vapour it produces. The device his son used is called a Wotofo Phantom, he said. The company's website says it is manufactured in China. The manufacturer and its Canadian distributor were not immediately available for comment. Greer said governments should not allow minors to buy such devices. "I would like to see these unregulated ones possibly banned," Greer said. "It is horrific to see your kid with his face so burnt." Alberta, Saskatchewan and Newfoundland and Labrador are the only provinces that have not banned the sale of electronic cigarettes to minors, according to the Non-Smokers Rights Association. Alberta leaves the decision to municipalities. Les Hagen of the group Action on Smoking and Health said what happened to Ty Greer is another reason why e-cigarettes need to be regulated federally and provincially. "We absolutely need product standards. For instance, they shouldn't explode in your mouth," Hagen said. "The other element with this particular incident is this product was sold to a minor, to a 16-year-old. We would like to see a ban on the sale of these products to minors, just like we have with cigarettes." 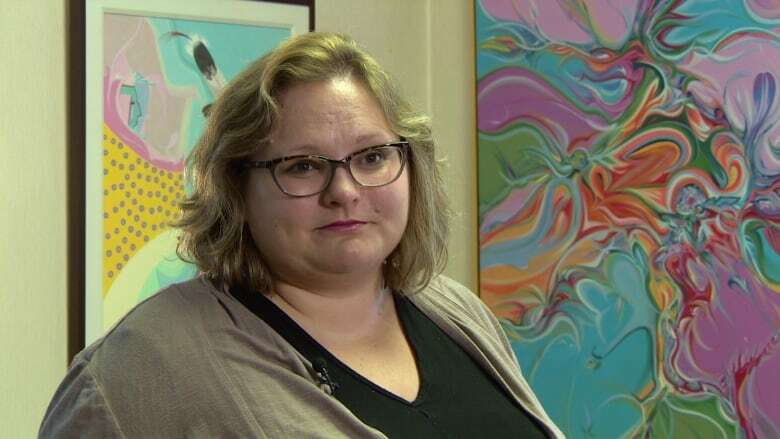 Alberta Health Minister Sarah Hoffman said a federal-provincial working group is looking at research into e-cigarette safety and whether it helps people quit smoking. "This situation has clearly taken a toll on this young man and his family and is an unfortunate reminder that Canada needs to address the lack of research and regulations of e-cigarettes," Hoffman said in a statement. 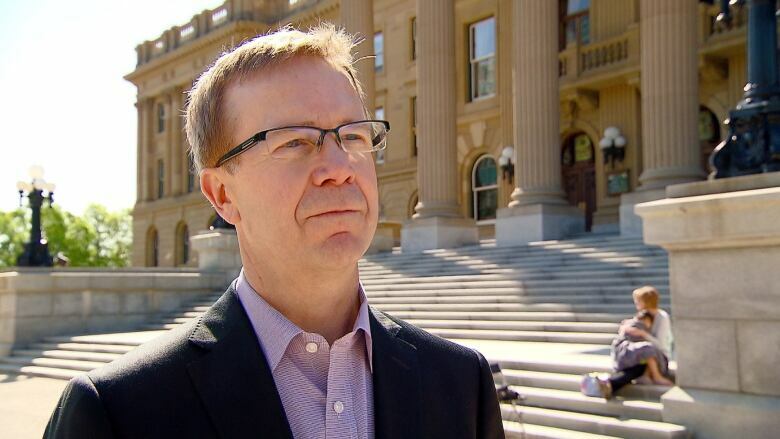 "As Alberta's health minister, I will be following up with my ministry for an update of where we are at here in Alberta as well as the national level and when we can look at next steps." Last March, the federal Standing Committee on Health issued a report that recommends funding independent research into the health effects of electronic cigarettes and the need to regulate them. The report calls for rules that would prohibit their sale to anyone under 18. Hagen said the federal government has yet to respond to the report. Walter Zimmer, Ty's uncle, said it is time for action. "They are dangerous," he said. "This young guy is going to be scarred for life."